No matter how you look back at 2018, there is one topic that has dominated the UK: Brexit. It has permeated every aspect of life, from pub discussions to televised debate, newspaper headlines and businesses, across the board. The uncertainties over the withdrawal agreement, the Rumsfeld “unknown unknowns” if you like, hasn’t helped any manufacturing sector but, in addition to that, for automotive there has been the fallout from VAG’s ‘dieselgate’ scandal and the challenges set by the imposition of the WLTP fuel consumption regulations, last September. Never mind confusing messages from central Government about the future of the internal combustion engine versus electrification. Yet, among all of this, there has been some positive news, which has often been overshadowed by the shouty headlines and despite overall investment in plant, machinery and new models stalling at £343.7M in the first half of 2018, according to SMMT figures. 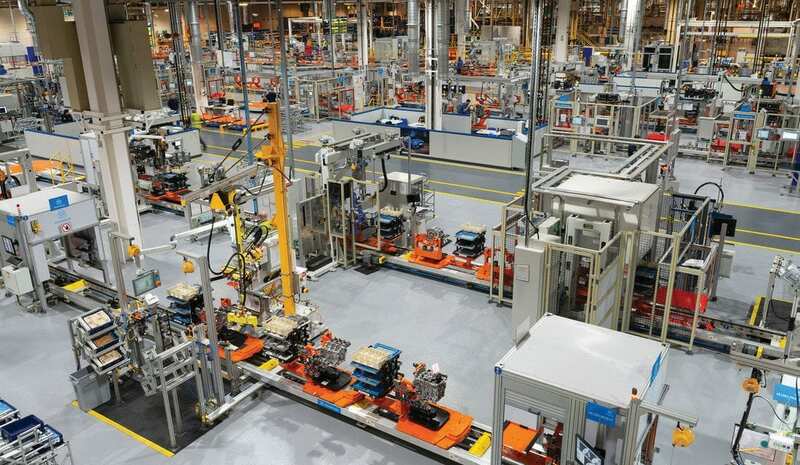 In October, Ford commenced production of its latest three-cylinder 1.5-litre Ecoboost engine at its all-new, state-ofthe-art flexible manufacturing facility in Bridgend, following a £100 million investment. Despite the brouhaha over diesels, Ford also started building its new 3.0-litre Power Stroke diesel at Dagenham, which will deliver best-in-class performance for F-150 customers in the US. It was designed and developed at Ford’s technical centres in Essex and Germany. Dagenham, Ford’s largest diesel engine production facility globally, produced 800,000 engines in 2017 for the UK and global markets, including 2.0-litre and 1.5-litre EcoBlue, underlining the importance of diesel on a global scale. It also emerged that Ineos was in talks with Ford about potentially using Bridgend for production of its putative Land Rover Defender successor, ‘Projeckt Grenadier’, due for launch in 2020. Vauxhall’s mixed year saw parent company Groupe PSA announce plans to increase production at its Luton plant of its Vivaro van, to 100,000 units a year. For the UK’s largest manufacturer, JaguarLandRover, 2018 was a year of contrasts: its global sales fell 12.3 percent in September alone. The primary cause was a 46 per cent decline in sales in China, along with a 4.7 per cent fall in Europe, mainly caused by the drop in demand for diesels. 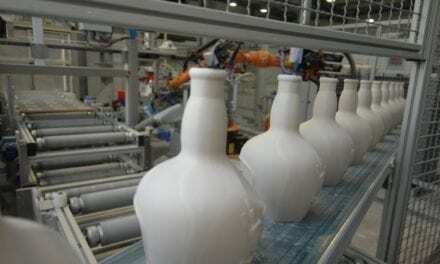 This led to a two week lay-off for 9000 workers at the company’s Solihull plant. While Discovery production is being transferred in 2019 to a new assembly plant, in Slovakia, its Halewood plant befitted from a £1billion investment in the design, engineering and manufacturing of the new Evoque; a project that also boosted the UK supply chain by a further £4 billion of contracts. Elsewhere in the north-west there was less good news, with the announcement that Vauxhall’s Ellesmere Port plant, where the Astra is assembled, would shed 241 jobs by the end of 2019 – although some might be relocated to Luton. Now part of Groupe PSA, it was revealed that additional investment would be made at the Luton plant, which builds the Vivaro van, to increase production from 60,000 to 100,000 by the end of 2019 based on Groupe PSA’s EMP2 platform as part of its PACE! initiative. Significant as Toyota’s investment was, it paled alongside the rumoured £1.5 billion that Geely Holding Group, which counts Volvo, LEVC, Lynk & Co in its portfolio, is injecting into Group Lotus. Geely acquired Lotus when it bought a 49.9 per cent share in Proton from Malaysia’s HICOM Bhd, Lotus former parent. The legendary sports car maker, which celebrated its 70th anniversary in 2018, has been in limp-home mode for the past 25 years since being sold by GM, with numerous owners failing to manage or invest in it sufficiently. The fact that it has survived at all shows how resilient the brand is but now, with former JLR global operations director and Sunseeker CEO Phil Popham at its head, there’s a sense that the iconic brand might be able to emulate its British rivals; Aston Martin and McLaren. Aston Martin took the bold step of floating on the London Stock exchange in October. The share issue initially valued the company at £4.3 billion, although this dropped in the following weeks. After a further investment of £50 million, its second major UK manufacturing facility, at St Athan, will become the brand’s centre for electrification and the production home of Lagonda brand, when the Rapid E commences production in 2019 followed by the DBX crossover a year later. Meanwhile, McLaren has invested a similar amount in its McLaren Composites Technology Centre (MCTC) in Sheffield, which will employ 200 when it becomes fully operational, in 2020. Chief executive, Mike Flewitt believes that “Britain can become a world leader in lightweight materials that could help create more efficient future vehicles” for a time when the “weight race” replaces the “power race”. 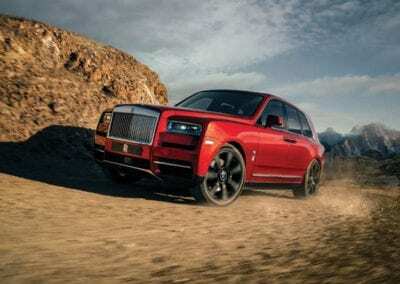 Weight, though, wasn’t on the mind of the engineers responsible for the newly launched Rolls-Royce Cullinan SUV, a 2.7 tonne behemoth that has helped boost employment at Royce’s Goodwood site to over 2000 for the first time. Production is pre-sold to November 2019. 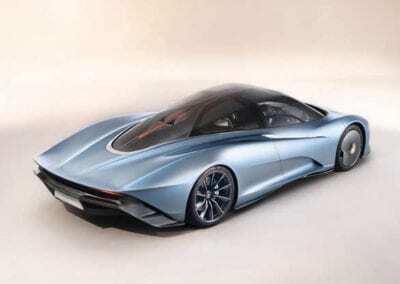 McLaren Speedtail-01 P. McLaren’s planned Speedtail model will be produced with carbon fibre made at its new Technology Centre in Sheffield. Overseas sales were the mainstay of lofty products like the Cullinan and it was equally so for engine production. 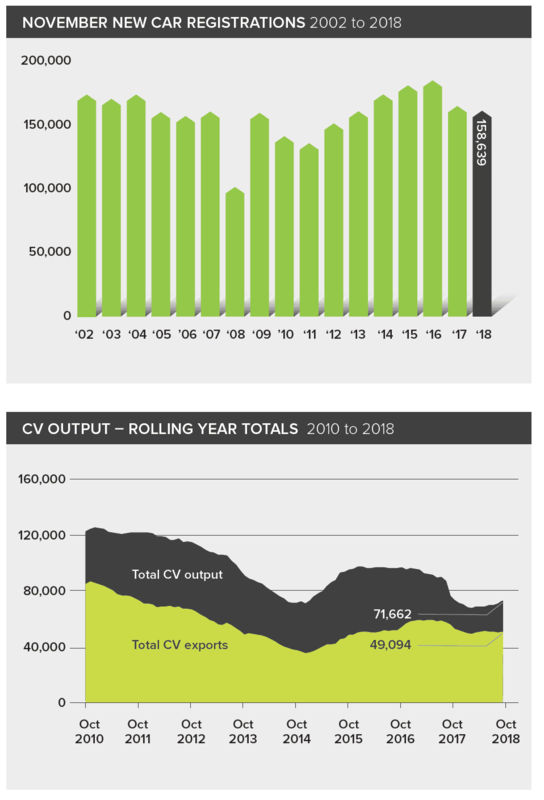 Exports drove demand with production for overseas markets up 14.6 per cent – offsetting an 11.3 per cent drop in output for the UK – the sixth consecutive month of domestic decline, year-on-year. To the end of September, volumes surpassed 1.2 million, with production up nearly 161,000 on the same period in 2017. There were, of course, some dark clouds on the horizon as well. 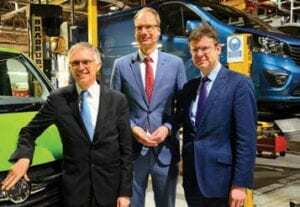 Schaeffler, the German car parts supplier, said uncertainty surrounding Brexit had contributed to its decision to close two UK factories, in Llanelli and Plymouth, where 570 people are employed. The company said the closures would take place over the next two years; its factory in Sheffield would remain open, while operations at its logistics centres in Sutton Coldfield and Hereford would be combined in Hereford. French tyre maker Michelin announced plans to close its factory in Dundee in 2020, nearly 50 years after it opened and where 845 people are employed. It blamed dwindling demand for smaller tyres rather than Brexit. The most contentious deal of the year surely goes to Melrose’s £8 billion hostile takeover of engineering giant GKN. Simon Peckham, Melrose chief executive said it would improve GKN’s trading margin to in excess of 10 per cent, from about 7 per cent. It would also retain and invest in GKN’s automotive and aerospace businesses, including a new technology centre in the UK. In a bid to thwart the deal the 259-year-old company proposed selling its driveline business to Dana. 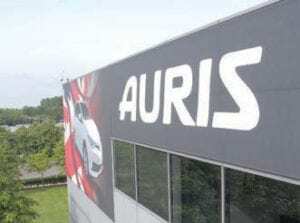 Ultimately, that ploy failed; the automotive division generated more than half the company’s annual sales of £10.4 billion and £377 million of profits. In the midst of the bid it was forecast that sales of GKN electric drivelines, which makes parts for BMW and Volvo, would leap from £33m to £500m in 2022, underlining the dominance of UK engineering in the rapidly-growing sector of vehicle electrification. Williams Advanced Engineering, the commercial research and design arm of the F1 team, recorded revenue of £21.5m in the first half of 2018 (2017: £19.9m) with an EBITDA of £2.2m (2017: £3.4m). Its employee base grew by a third to 300 during 2018. 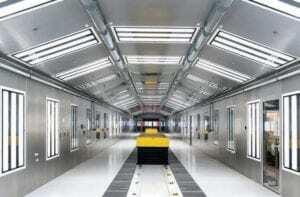 It has completed more than 80 projects, with approximately 40 more currently in work. 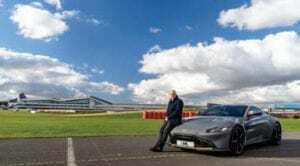 Ian Wight, business development director, says that it has taken its experience from F1’s KERS technology and applied it to a range of road cars. It has established a battery production facility with Unipart, which will come on line in 2019 and manufacture 10,000 batteries a year. Bridge of Weir has invested a further £1.9 million in its sustainable leather tanning plant that will increase its dry process waste recovery 300 per cent. “This takes us further on the journey towards our zero waste objective and secures our position as the leading force in leather sustainability,” says sales manager, Dale Wallace. The motorsport industry has consistently grown five per cent a year over the past eight years, with total estimated sales of £10 billion says Motorsport Industry Association, chief executive officer Chris Aylett. Employing 45,000 people, 80 per cent of the 4300 businesses in the motor sport value chain are export driven. “To remain internationally competitive, these high-performance engineering SMEs, which account for the £5 billion ‘engineering’ area, re-invest more than 30 per cent of their sales income, some £1.5 billion a year into R&D. This ratio is 10 times that of automotive and double that of pharmaceutical. HMRC R&D Tax credits are vital to our success,” said Aylett.